We hope we can help find what you are looking for. If you are looking to purchase a campground, there is no better place to start than our Campgrounds for Sale page. This page is updated frequently so visit often - you never know when your dream business opportunity will appear. If you are looking for a career in the camping industry please visit our Job Board to see the latest employment opportunities. Looking for used equipment for your business - then check out our classified page. You never know what treasurers are waiting for you. 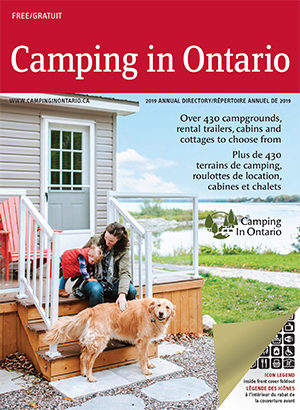 Our latest edition of Campers News featured some amazing things to see and do while you are camping in Huron, Perth, Waterloo and Wellington region. Click here to take a peek at that edition. we never share our mailing lists. The only email that you will receive from us is the Campers News via MailChimp. If at any time, you wish to discontinue receiving our emails, please simply unsubscribe.